’s perhaps even more important to have role models who don’t. 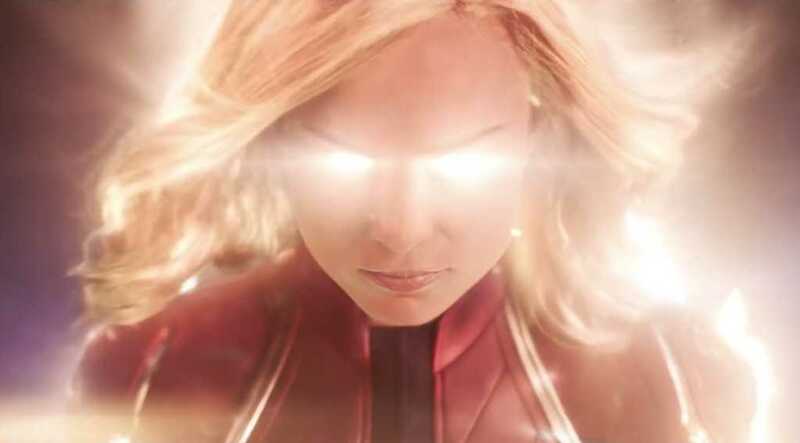 This week, Marvel Studios’ highly anticipated “Captain Marvel” finally hit the box office. It opened to quite a bit of fanfare and a little boohooing from the good people over at Desiring God, a ministry site founded by Pastor John Piper. Writer Greg Morse dragged Disney and the Marvel Cinematic Universe (MCU) for daring to consider a female capable — or even worthy — of being a hero on par with her male counterparts. He mourned the fact Disney is trading in its weak and delicate princesses a la Sleeping Beauty for a woman willing to fight alongside her fellow human beings, both male and female, for the greater good. I was already disheartened by Morse’s dismissive commentary, but after seeing the film, I’m even more convinced just how wrong he is to consider Captain Marvel’s entrance into the MCU something to grieve. Carol Danvers’ (played by actor Brie Larson) strong and unflinching commitment to what is right, her devotion to protecting the vulnerable and to safeguarding the moral good no matter the cost are all qualities modeled by the Bible’s leading female heroes. In fact, those very characteristics — imprinted on the hearts of women and men all around the globe — are proof positive of God’s image on our shared humanity. Every human being bears God’s likeness. As a result, we each carry with us different inclinations, passions and desires that mirror the perfect character of our Creator. Men need to be reminded of the fact that we aren’t the only ones who bear the warrior spirit. Greg Morse + the @desiringGod team, as a former active duty US Marine, I find this language viscerally demeaning. Men are not "hiding behind women." We train and fight "alongside" men. A cursory exploration of Scripture will show women — just like men — have been front and center in God’s unyielding effort to love his creation back to him. From Old Testament giants like Deborah and Esther to New Testament leaders like the “woman at the well” and Mary Magdalene, the first evangelist, the Gospel has elevated women to a place of true equality. To suggest these women aren’t heroes or even warriors is just flat out wrong. During the Israelites’ years in Canaan, as chronicled through the book of Judges, God chose Deborah — one woman among men — to serve as a judge. In that role, she exercised authority administratively and militarily. She was also the only judge given the description of “prophet,” making her a spiritual leader as well. In the book of Joshua, we learn about Rahab, the prostitute in the Canaanite city of Jericho, the most important fortress in the Jordan Valley. When the king of Jericho heard about two Israelite spies who had infiltrated the city, Rahab negotiated with them and agreed to protect them from the ruler and ultimately help them escape. Because of her Herculean sacrifice, she and her family were saved while the rest of the city’s people — every man, woman and child — were killed. Rahab went on to assume her place in the direct lineage of Jesus. Further down the line, in the book of Esther, one of only two biblical accounts named after a woman, we see Esther’s mighty convictions on clear display. With great resolve, she eventually approaches her husband King Xerxes — a dangerous space for a woman — and accuses one of his men, Haman, of plotting to kill the Jews. She asked for her people to be spared. “If I must die, I must die,” she told her cousin Mordecai. But that didn’t happen. According to the harrowing Old Testament account, Esther’s wish was granted and her people were saved. In Luke 10, Jesus allowed Martha’s sister Mary to sit at his feet, a sacred space historically reserved for men studying under their rabbis. In John 4, Jesus spoke to the “woman at the well” — who in addition to being a woman, was guilty of sexual sin — and chose her to go tell the townspeople about him. Later, in John 20, Mary Magdalene is revealed to be the first person to discover Jesus’ empty tomb after his resurrection, making her the very first person to share the good news that he had risen from the dead. These women — a very small selection of the real-life female heroes in Scripture — weren’t placeholders for men or even substitutes for masculinity; God specifically chose them to play heroic roles in his radical story of redemptive love. From a biblical perspective, Captain Marvel personifies the rich tradition of women who stand athwart evil and remain steadfast in their convictions, all to advance the Gospel. Men need to remember the Gospel is radical and God’s love breaks every rule there is. He doesn’t discriminate, but instead spreads his perfect image around without abandon, convicting the hearts of both men and women, calling them to stand in the gap to protect and advance his countercultural message. We need male superheroes and female superheroes because God uses people who look like us and people who don’t. That’s one of the reasons the Gospel is so marvelous.